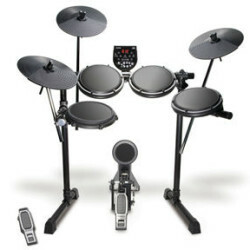 Alesis DM6 USB electronic drum kit. Includes free stool and headphones. Also includes 2 pairs of sticks with clamp-on stick holder.